Another product for the EnvisionTEC printers are ultra violet curing chambers. These cure the resins so are an essential part of the package and are suitable for a multitude of purposes. 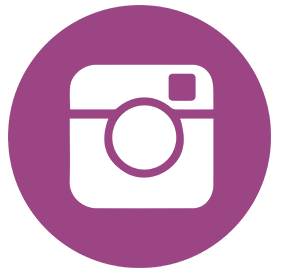 We can sell our GVUK ovens to anyone who wants one, not just jewellery artisans. 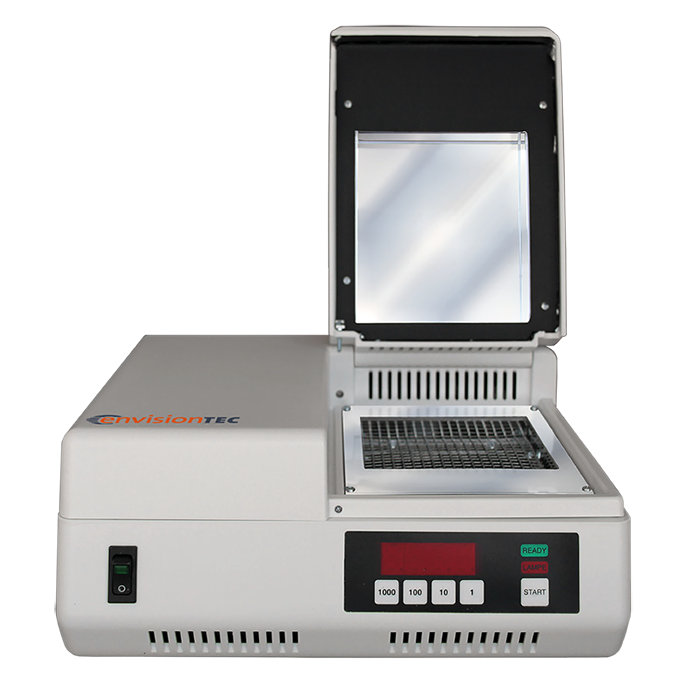 The EnvisionTEC PCA 100 is a post-curing apparatus for the final hardening and strengthening of photopolymer parts that were 3D printed. This unit features 36 LEDs that deliver light in the 390 – 420 nm wavelength range. The PCA 100 is ideal for applications in jewellery, dental, and the hearing aid industries. Using a post curing apparatus as a final step results in higher strength and stability and also ensures a thorough cure, which is critical for parts destined for direct casting. 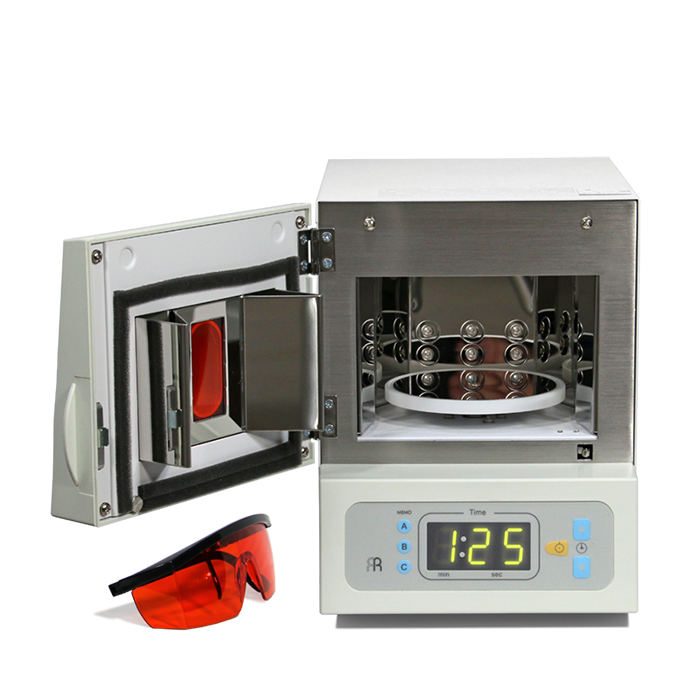 The PCA 100 also features an automatic rotating turntable, allowing for optimal uniformity in curing. A digital display control panel provides simple and user-friendly operation and a buzzer alerts the user of the completion of the curing process.